On today’s episode of All in the Industry, host Shari Bayer is joined by is Sabato Sagaria, President of Bartaco, an upscale street food concept with a coastal vibe and multiple locations, part of Barteca Restaurant Group. 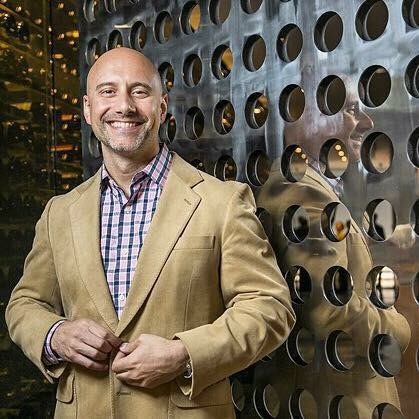 Sabato has over two decades of culinary, beverage, and leadership roles at esteemed restaurants and hotels around the country, most recently having served as Union Square Hospitality Group’s first ever Chief Restaurant Officer. He is a graduate of Cornell University’s School of Hotel Administration and in 2012, he became a member of the Court of Master Sommeliers, an honor held by fewer than 250 individuals worldwide. Today’s show also features Shari’s PR tip, Speed Round game, Industry News discussion, and Shari’s Solo Dining experience at Razza Pizza Artigianale in Jersey City, NJ. Listen at Heritage Radio, iTunes, Stitcher or Spotify. Follow us @allindustry.